Affordable machine quilting that turns your tops into treasures. 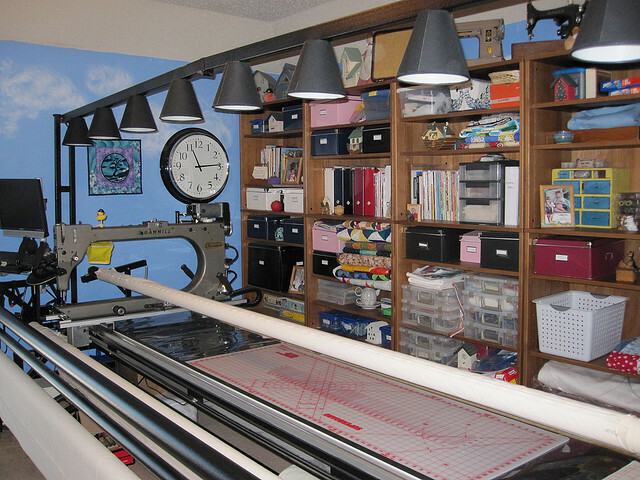 is a very small, home operated business dedicated to helping the average quilter finish their project. My goal is to get quilt tops out of drawers and onto the laps and beds of people. Many quilters enjoy the challange of piecing a top together from bits and pieces. They enjoy the process of going from pattern to flimsy top...but not the back breaking, finger shredding process of quilting them into cozy coverlets. These "piecers" often have drawers and shelves filled with finished tops that although lovely, do little to keep anyone warm. The tops are relegated to storage with the hopes that someday they will be turned into something cozy. I believe that someday just might be NOW. Please contact me anytime! (within reason) I look forward to hearing from you. You can use the handy contact form linked to the "Call today" up above at any hour of the day or night. Hope I will be hearing from you soon. Copyright 2013 Tops to Treasures. All rights reserved.